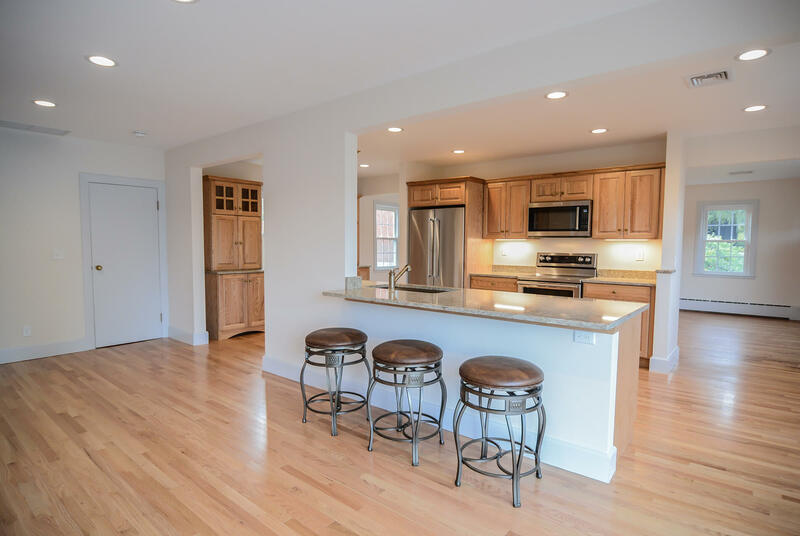 Whole Home Renovation in Essex County, MA | Star Construction Company, Inc.
You deserve a home that’s a reflection of you, that mirrors your personal style and suits the needs of you and your family. Whether you’ve outgrown an older home, or you’ve purchased a fixer-upper to customize, a whole-home renovation is a great way to put your stamp on your house and turn it into a place you’ll love living. A whole-home remodel not only gives you the chance to make your home uniquely yours. It’s also a great way to make sure that your home’s interior flows well and is designed in a way that makes sense for your property, while generally being easier to handle than a completely new, custom-designed home construction project might be. At Star Construction, we want to help you turn your dreams of the perfect home into reality. No matter how big your whole-home renovation project is, we’re here to help. Our Newburyport client wanted us to handle a huge property renovation for them. We were to completely reconfigure their first floor, replace all their windows, add a deck, and take care of an old machine shop that was located below their property. 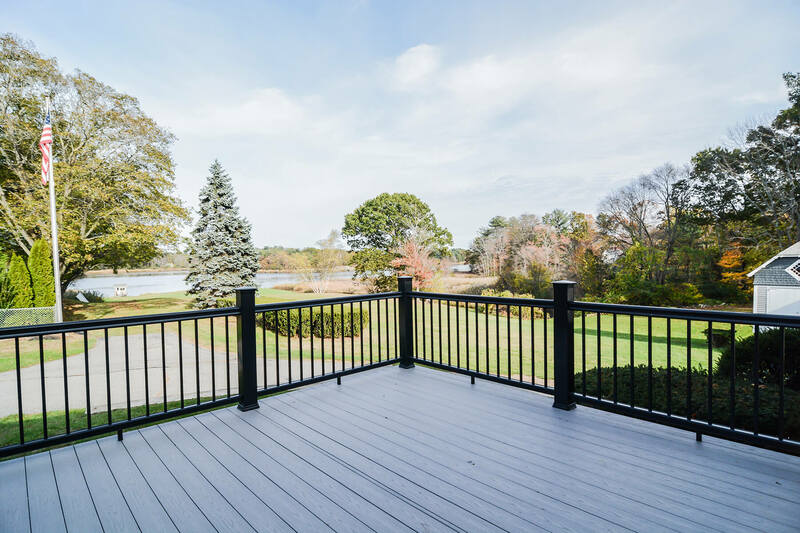 The home itself is in a beautiful location; it’s one of four homes on a 5-acre parcel at the mouth of the Merrimac River, and we wanted to help our client take advantage of that. To that end, we added a deck which gave them access to their side yard and beautiful views of the river. As you can see in the first photo on this page, we completely redesigned their first floor by reworking their kitchen layout. We put the kitchen in the middle of the first-floor space, opening the area up visually and giving our client a lot more room to work with. Because they were dealing with springy, bouncy floors, we reinforced the kitchen floors with steel to make them stiffer and ensure longevity. We added a complete HVAC system to the home as well and redesigned a bathroom for the client that included a barrier-free shower and a toilet with a higher seat. This job required a lot of structural additions, electrical reworking, and new plumbing. We also added insulation and made sure that both the new and refinished hardwood floors looked their best. For the machine shop, we helped our client handle the gas piping and electrical equipment, then isolated the space so that they could clean it out and do whatever they wanted in the future. Our client was incredibly happy with their beautiful whole-home renovation. For over 40 years, Star Construction has helped clients like you build the homes they’ve always dreamed of having. We believe that your whole-home renovation should last a lifetime, which is why we always pay attention to the little details, and why we work with you to create a design that matches your needs, wants, and budget before we ever lift a hammer. We only work with trusted suppliers and subcontractors to ensure that you receive the highest-quality workmanship, customer service, and materials available. And we make sure that you’re kept constantly informed about the status of your project, so that your stress is minimized and your whole-home renovation is more fun than frustrating. We’re a fully licensed, registered, and insured contractor, and we want you to love the home you’re in. So whether you’ve already got a design and are looking for a contractor, or whether you want to start from scratch with us, get in touch with us today to schedule your consultation. Let us show you why so many of our clients return to us again and again!